Valarie says: It’s owl season! Our thanks to the Union Bay Watch blog for posting photos of the Snowy Owl as it migrates through Seattle in the fall and winter. There are also reports coming in of barred owls, a local species, swooping down on people in Seattle-area parks — something that happens during nesting season. Will last winter’s Snowy Owl irruption repeat again this year? Looks likely given all the snowy owl reports this week here & here, and expert chatter here. 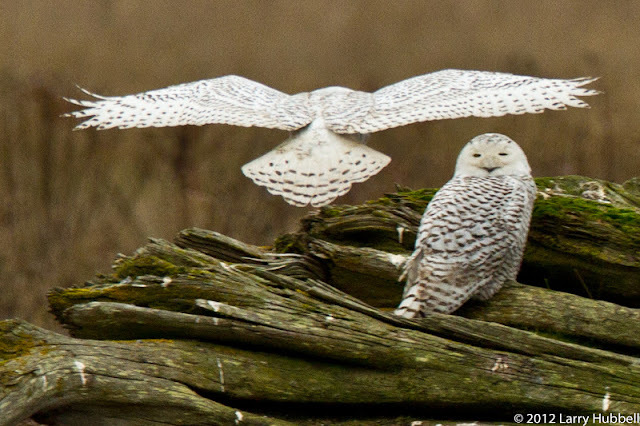 Union Bay Watch has posted a primer on the Snowy Owl and some great photos. While they’ve been spotted around Portage Bay, there has yet to be a sighting on Union Bay according to UBW — the 520 eagles may have something to do with that. Read more here, and if you haven’t read the follow-up story to the Snowy-Owl-eating-a-seagull-dinner sighting on Capitol Hill this week, be sure to do so here. Then get the binocs ready. This entry was posted in Nature and wildlife and tagged birds in northeast Seattle, owls. Bookmark the permalink.